Does your son like to dress up in suit and tie? Does he like bright colors? 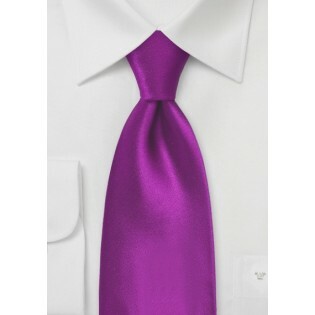 Then this magenta-pink silk tie will definitely grab his attention. It is, just like daddy's necktie, made from finest silk. To match this tie we suggest suits in navy, gray, and tan. This tie looks best during the summer months. We also carry this tie as a regular length necktie. 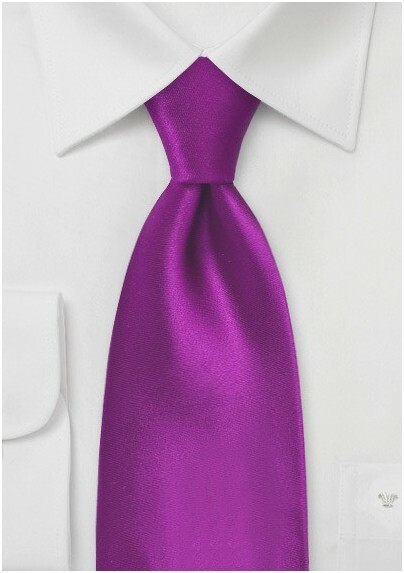 Made from pure satin silk by neckwear designer Parsley.